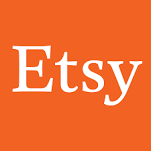 Etsy is looking for an experienced Technical Project Manager with a passion for agile who will lead & inspire exciting technology changes & rapid implementation of innovative new ideas. As Etsy continues to move its systems to be cloud-hosted & cloud-native, the Senior Technical Project Manager position is a key role in making this a successful story. This is an exciting & revolutionary time to join us as Etsy's engineering team embarks on its next generation work. We are offering an opportunity to be part of the fast-moving organization that connects millions of sellers & customers. This is a full-time role located in Brooklyn, NY.